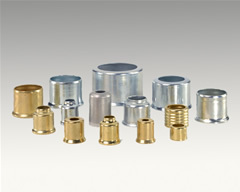 Winzeler Stamping has decades of deep draw experience. It is one of our core competencies and remains an area of specialization for the company. We have acquired the expertise that allows us to produce complex cylindrical or rectangular shapes with the capability to draw parts up to 5 ¼” deep. In addition, we have developed the know-how that allows us to offer deep drawn metal stampings in a variety of materials including stainless steel, aluminum, brass, copper, High Strength Low Alloy (HSLA)as well as other cold rolled and hot rolled steel alloys. We produce drawn components for diverse applications such as: cans, caps, connectors, cups, eyelets, ferrules, housings, shells, munitions, hose fittings, and more. The deep drawn metal stamping process involves advancing a flat metal blank through a series of steps intended to manipulate the metal until it is conformed into a three dimensional part. 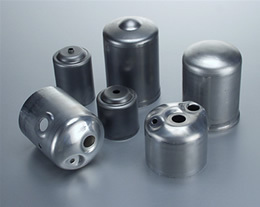 A deep draw die is used for stamping parts when the material is required to flow or stretch rather than be bent or formed. Coiled metal stock advances with each stroke of a stamping press and goes through a series of operations until the part is shaped precisely to specification. Transfer presses and Progressive presses are the two basic types of equipment on which Deep Draw Metal Stamping can be performed. The method by which the part is carried through the drawing process differs with each type of press. Transfer presses are multiple station power presses, with independent punches and dies for each plunger station. A blank is cut from the strip metal in the first operation and then carried through the other operations with the use of a cam driven slide with fingers. In the Progressive Press process the part remains attached to the strip of metal and is transported through the various operations via the strip. 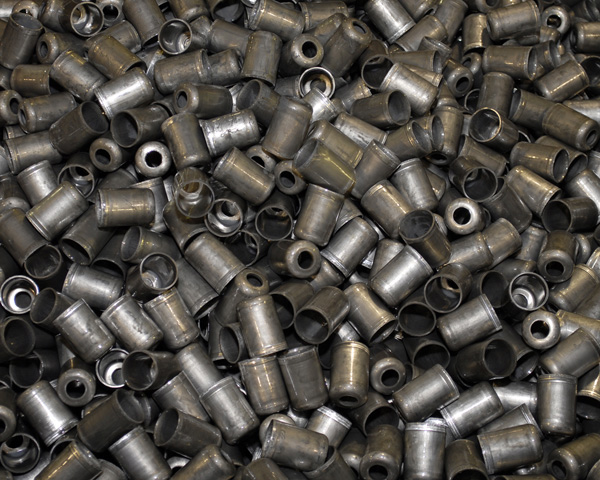 Metal used in deep drawn applications must be malleable and resistant to tension damage. 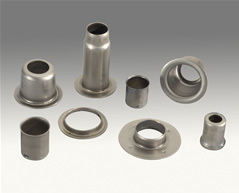 A number of in-die operations can be performed to provide additional features to the part: coining, piercing, embossing, marking, chamfering, flange forming, shaped flange trimming, beading, reverse drawing, and rib forming. Our team consists of talented engineers, skilled precision toolmakers, experienced press operators, and top quality control people. 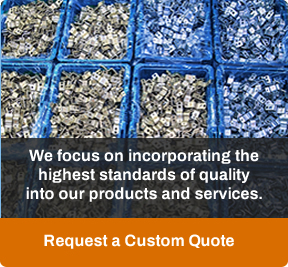 Together, they assure your parts are produced to meet or exceed specification. To maximize your experience with Winzeler Stamping Company, contact our engineering staff early in your design process. Often we can help reduce development and production costs when we are involved in the design or redesign of a component. There are numerous industries that rely on deep drawn components including automotive, automotive HVAC, appliance, and lawn & garden. Winzeler Stamping Company is certified to ISO 9001:2015.